Cost of ‘Do It Yourself Travel’. I was recently at the American Society of Safety Engineers Conference (ASSE) which coincided with the National Hearing Conservation Association annual executive council meeting – a whole lot of hearing conservation in Denver this week (shh). The conference was well attended and Custom Protect Ear was busy. In the trade show we were inundated with companies that had challenges in their hearing conservation programs asking if we could help them. If someone asked us what Denver looks like our answer would have to be 16th Street? Why? Because we spent every evening dining and walking on 16th street; a delightful mix of shops, restaurants, with free bus service running the 1/2 mile of the street. OK enough of the travelogue. What has cause me to personalize this, is my attempt to return home, back to Vancouver BC. Stories about airline travel and what has happened to it are legend. Most of us who fly harken back to the “good old days” when flying was somewhat pleasant. I’m not sure we recognized that those were the good days back then, but with hindsight, they were certainly better. This march toward airline efficiency has delegated the process of flying to the individual and the public. We are encouraged to be our own travel agents using Expedia, Travelocity, Kayak, Orbitz, Priceline, Hotwire and others. 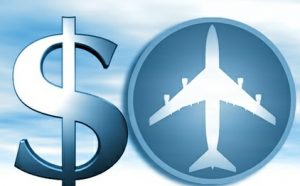 The pricing for hotel rooms, airline seats, tours all are subject to extreme variability. We can buy or own seats directly from the airline, book our hotel rooms directly from the hotel, and even look for our luggage on line. Before I make my point, a word of qualification. I love computers and computing. I have been computer semi literate since 1984 when I bought my first Texas Instruments P.C. I’ve travelled with a computer since Toshiba launched the 1100 dual disk drive portable. All of this is by way of saying I’m not afraid of computing. That said, I think all of us should immediately stop booking our own travel and return to using professionals. Firstly they need the work. More importantly, the airlines have made the process of booking travel a minefield of potential hurt. Let me give you an example of what happened to me just last night. Eager to book in for my flight today, I went online to United Airlines website,as I have done many times before. I advised United that, yes I would be flying from Denver to Vancouver and no, I wouldn’t check any bags. Yes I’d like to see where I’m seated, as I have a preference to carry my luggage on the plane therefore, picking the right seat in advance allows me exit the plane as soon as possible. I often prefer to sit forward so it’s easy to exit the vessel. On United getting a forward seat is known as “Economy Plus”. United charges an additional fee for a “Plus” seat, which at the time was worth it to me. But that’s where the trouble started. In my ‘seat changing option’, the United online system offered me some alternative flight choices (I was curious and thought, why not ). My meeting was ending at noon so an earlier departure could have been worthwhile. Click. 3 choices, 2 obviously requiring a stop enroute and a 3rd looking like it went straight to Vancouver. $75 dollar to change but getting home earlier is worth it. Me: Hi there can you change my flight back to what I had originally booked with the upgrade, and get a refund on the seat change? United Airlines Operator: Yes we can change you back to your original flight. However we cannot refund the fee for changing flights. And No we cannot apply the original ‘upgrade fee’ for an upgrade on this flight. Sir, you would have to pay for an additional upgrade and then claim a refund from United for the ‘original’ upgrade you had already paid for. So all in all I had to take the same flight I was booked on originally and I had to pay an additional $114 because I tried to be my own travel agent. So my advice, and as I say in my everyday business, let the people who are trained and specialized in their field to ‘do the work’. Ironically, my trip was about helping professionals fight against the ‘cost of noise’, and here in this blog I am fighting against the cost of ‘do-it-yourself travel’. The airlines are too clever and luring you into things you’ll pay for and not benefit from. And don’t even get me started on buying this “meals” on board….